The IET believes in creating positive and enduring change in our community. That is why the IET established the summer literacy camp program in 2011. These camps give disadvantaged children a focused summer camp experience, and also helps parents to better support their children’s study. 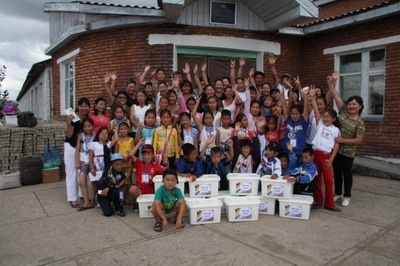 IET’s partner for this project is the Mongolian Education Alliance (MEA). MEA staff were trained through the World Bank READ project and have successfully delivered four camps to date. To ensure that these camps have an enduring impact, they assume a tripartite approach to sustainable skill enhancement by involving students, teachers, and parents or guardians as key stakeholders. With students, our aim has been to not only improve each child’s literacy, but just as importantly, to also develop and inspire an appreciation of reading and writing in them. 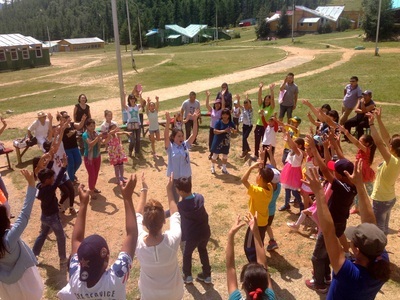 During the camp, the children participate in fun, educational activities, including making books, reading competitions, as well as writing and singing. They also have the opportunity to share and reflect what they learnt with their peers in a free conversation session every afternoon. Amongst other things, they talk about what they have read, what their favourite book was, and what type of book they will write. One of the goals of working with parents and guardians is to build their appreciation for the role and importance of education. The other goal is to build their capacity to help their children with their study. In various workshops, we reiterate the significance of encouraging learning in the home, and share strategies and approaches to assist in overcoming possible obstacles to learning and teaching. 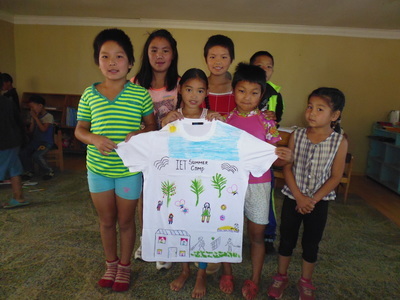 At the end of a camp, each child is presented with a t-shirt, a group photo from the camp, and a box of 20 new books for their own home library. A box of books is also provided to the school. Having a home library not only keeps children reading after the camp, but also often means that other children in the family and friends who could not attend the camp get to benefit from it. Children, parents and teachers are surveyed straight after the camp to get immediate feedback. The children and a sample group of parents are then surveyed again six months later as are their teachers. 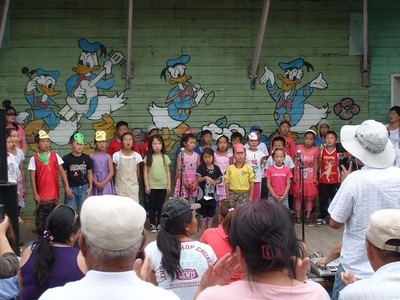 In addition, an independent monitoring and evaluation report of camps is conducted every two years. One of the children who participated in the 2013 camp said that as a result of the camp, “Reading a book became my favourite hobby”. These camps would not be possible without the generous support of our donors. The number of children who can be sent to camps depends entirely on the funding we are able to raise, so every donation helps. If you would like to support a child going to a summer literacy camp, please click here.